Of course, you have thought or even tried the option of freeing up space on your iPhone to increase its performance. Limited storage is one of the obvious reasons of lagging. However, you should know how to erase data on an iPhone to free up space. You are likely to be disappointed if you haven’t tried out iMyFone Umate Pro for Windows or iMyFone Umate Pro for Mac. It is annoying if your iOS 12 become laggy and it’s time to clean it up. 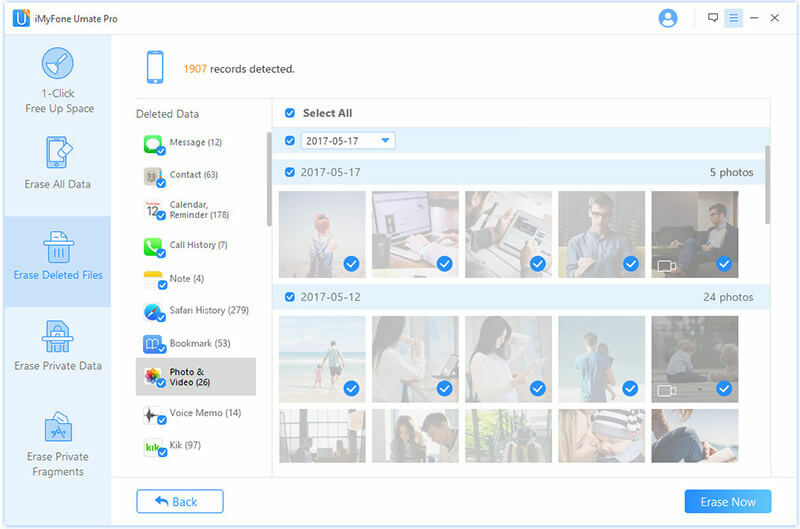 iMyFone Umate Pro iPhone Data Eraser can help you free up space by cleaning junk & temporary files for free, compress your photos lossless, delete large files and remove unused apps in bulk. All it can help you erase your unneeded private data and even your deleted files permanently and private fragments of third-party apps. iMyFone frees up space and maintains privacy of your iPhone. With this secondary software, all you need is one click and your lagging problem is solved. 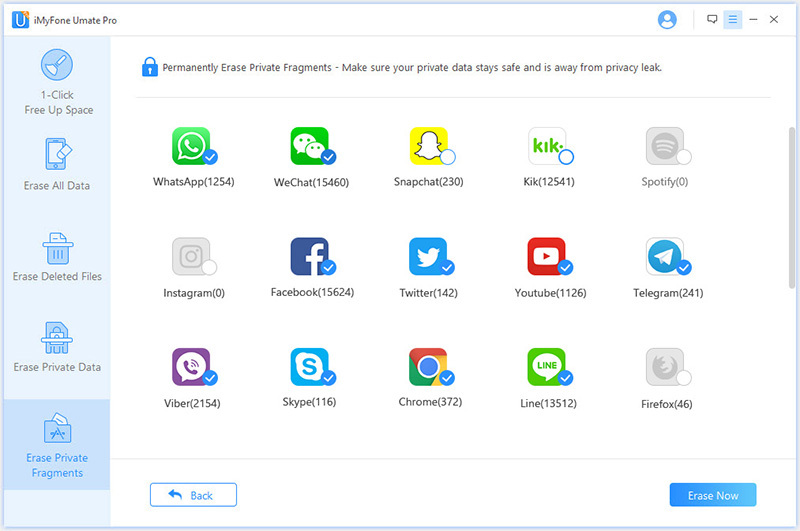 You can keep you privacy safe by erasing private messages and fragments of third-party apps. It is suggested that using all the clean functions to free up space on your iPhone to fix the iOS 12 laggy problem. Step 1:	Connect your iPhone to PC using a USB cable through the USB port. Step 3: The scanning process gives you an idea of what space will be free. Step 4: Click Clean to release space and check on other functions to release space. You may not be aware of the importance of your personal privacy on your iPhone, but it happen that private information leak everywhere around you. So your private data and especially your deleted files that you thought you have them erased should be erased permanently. It will also help with fixing the iOS 12 laggy problem. Step 1:	Connect iPhone to PC. Step 2: Select Erase mode and Scan; iMyFone Umate Pro will scan private data. Step 3: Preview and confirm the files. Step 4: Select a desired Security Level. Step 5: Click on “Erase” to start. This is to erase the incomplete leftover of data that entails high privacy exposure risk of your third-party apps and help your solve the iOS 12 laggy problem too. Step 3: iMyFone will show private fragments on your phone; manually select apps you wish to delete. Step 5: Click on “Erase”. If you are suffering the iOS 12 lagging problem, here are some useful tips for you. This is the first thing you should do if your iPhone slows down. Press down the power button on the side and wait for few seconds until a red slider shows up. Slide it to the right. Wait for few minutes and long press the same button to power your phone. Clearing browser history and cookies helps to speed up your iPhone. Go to Settings>Safari>Clear history and website data. Find and delete unnecessary apps and save on space. Go to settings>applications>delete. Select undesired files and click delete. Find out if your iPhone is compatible with the latest iOS 12 and update. Go to App store and check compatibility of your iPhone model and improved version of IOS. To update, Go to settings>general>software update then tap download and install. A fresh start might be everything you need to speed up your iPhone or regain its performance level. Before you restore factory settings, be sure to back up your files by connecting your iPhone to PC and use iTunes to backup. Apple still ranks as a top performer with regards to speed and iPhone usage. The manufacturer offers wide space in most of its iDevices; however, users have different storage needs that cannot be satisfied at once. 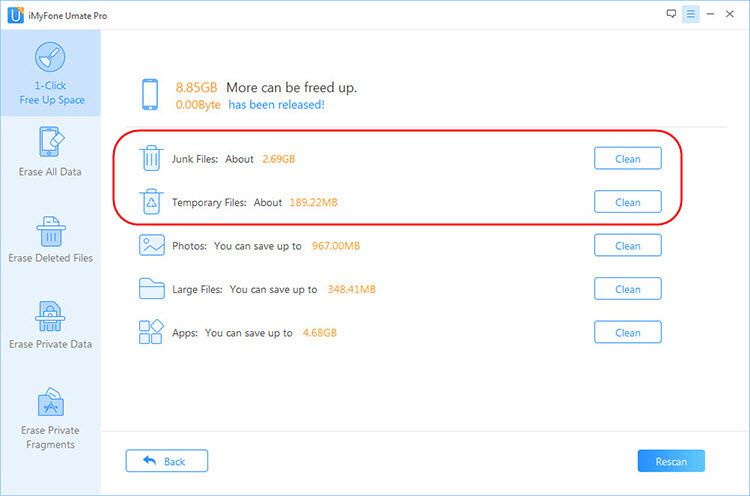 Storage must be the reason your iPhone is slow; try the above option of clearing data and save on space as well as solve the iOS 12 laggy problem and regain your iPhone’s performance.